Barclays Bank is launching the UK's first cash machines that can be used with either a tap of your contactless banking card, or your NFC-enabled Android smartphone. The service is being piloted in the North before rolling out to over 180 Barclays Bank branches UK-wide in the new year, becoming available in over 600-in branch machines. As well as offering the potential for faster and more convenient cash withdrawals, Barclays boasts that the contactless cash dispensers are more secure as they "remove the risk of magnetic card skimming and distraction fraud," as your card or device doesn't leave your hand. There are three ways to withdraw money using the new 'contactless' machines. If you are want to withdraw using your contactless debit card you tap it on the contactless reader and then enter your PIN on the machine, withdrawing cash from then on as normal. 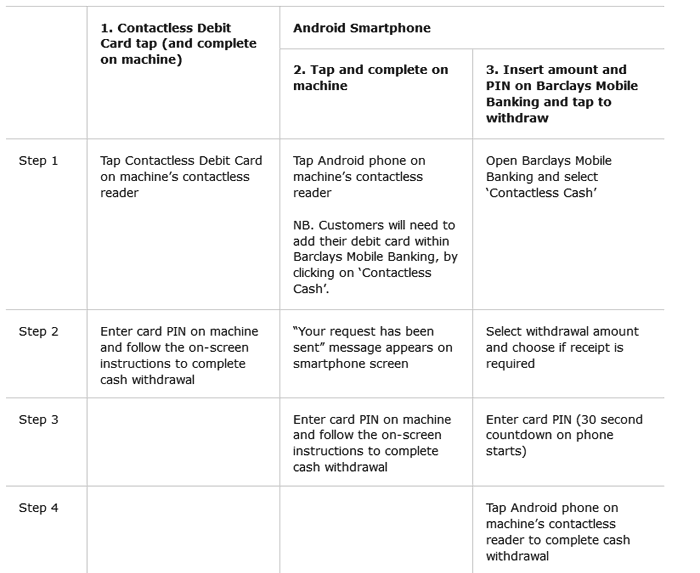 You can follow that exact same method; tap, PIN, and complete on the machine using an NFC equipped smartphone. If you want to get in and out of the bank in minimum time there's an alternative method. 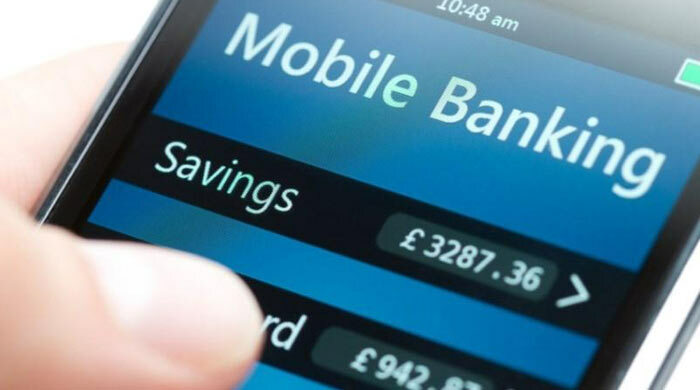 Using the Barclays Mobile Banking app a customer can pre-select the amount of cash they want to withdraw and insert their PIN on the phone. After submitting the PIN you have 30 seconds in which to tap the phone on the contactless reader - then your cash will be dispensed. You can withdraw up to £100 cash using the above methods. The process descriptions might look long-winded but once you get used to the new machines and your method of choice it should be quicker. Samsung intros 512GB eUFS 3.0 using 5th gen V-NAND QOTW: Which is the best mobile web browser? Yeah, bypassing the slow card insert/read/eject mechanism will be handy. Also not losing your card in a dodgy machine. I bet 95%+ of withdrawals are under £100 too. I still don't trust Contactless!! The TL;DR is that contactless is very secure. No two contactless transactions are ever the same, it's incredibly fast but it uses fancy algorithms to ensure each transaction is unique, which means nobody can “skim” your card and go on a shopping spree. Neither of which are unique to contactless. So kind of a moot point surely? I mean, you still need the PIN. The only thing this helps with, is the speed of the transaction, as you dont have to wait for the insert/remove of the card.